Have you thought about your financial future lately? We’re not just talking about retirement planning or paying down medical school debt. We’re talking about how you’re going to handle your final expenses. Life insurance is a major financial decision. You’re not going out to buy a cup of coffee; you’re laying the groundwork of how you’re going secure your loved ones’ financial future. With that said, there are a lot of misconceptions and misinformation about the life insurance buying process. To help you take care of any financial obligations you may leave behind and to help you understand how this type of financial protection affects you and those who matter most to you, we’re dispelling the top six myths about life insurance. If you’re a resident or young family physician, we understand that life insurance may not be a priority for you, but hear us out. Purchasing life insurance is something every professional should consider. With an average salary of $207,000 and a median student loan debt of $183,000, family physicians generally have more to insure if they were to pass away. Young adults need to recognize the fact that their death could place a financial burden on their family. By purchasing a policy at a younger age, you can take advantage of lower rates. In terms of health, take care of yourself and avoid risky health habits so you don’t experience rate increases. That’s not to say that if you’re in poor health you won’t be able to get life insurance at all. It will just be more expensive down the line, which is why it’s crucial for you to keep your health in check at a young age. Perhaps the biggest misconception that people have regarding life insurance is that it’s too expensive. To the contrary, a life insurance policy is surprisingly affordable. According to LIMRA’s latest insurance barometer, 80 percent of consumers misjudge the price for term life insurance. Millennials in particular overestimate the cost by 213%, and Gen Xers overestimate the cost by 119%. In a LIMRA survey, 1 in 4 respondents thought a 20-year $250,00 level term life policy for a healthy 30-year-old would cost $1,000 a year or more. As a member of the AAFP, you have access to the Quick Start Life Insurance program which offers affordable rates for a $250,000 policy. In fact, a female under the age of 25 could receive this policy for as little as $0.14/day – that’s about $4 a month. This myth is a little tricky. Insurance policies generally undergo an underwriting process by collecting information to assess your risk – and the process can take weeks, even months. Such factors that go into assessing your risk may include: your age, gender, family medical history and your occupation. The good news is that as a member of the AAFP, you won’t be required to take a medical exam or have a doctor visit you at your office to perform a physical exam with Quick Start Life. All you have to do is fill out a simple application, answer a few questions and you’ll be notified about your coverage decision by mail. You don’t even have to send money upon applying. We also offer a 30-day money back guarantee if you aren’t fully satisfied. Easy, right? If you aren’t married or have children, that doesn’t get you off the hook for life insurance. If you have credit card debt, car payments or private student loans, a policy can help cover these costs so your family doesn’t have to. If anything, life insurance can help cover your funeral costs so your family isn’t burdened by the added financial stress. Also, if you own your practice or are part of a group practice, a life insurance policy can help pay for operating costs in your absence. That’s great, but is it enough? Most employers will offer employees a group policy and will generally cover the costs so you won’t have to pay anything out-of-pocket. However, basic employer-provided life insurance may not be enough coverage, especially if you plan on starting a family. You will also need to keep in mind that employer-sponsored coverage usually isn’t portable, which means if you were to leave your job, your coverage won’t follow you. Lack of portability can be a problem if you aren’t immediately starting another job with similar coverage. Supplementing your employer-provided coverage is the best way to ensure your family is well taken of if you were no longer in the picture. 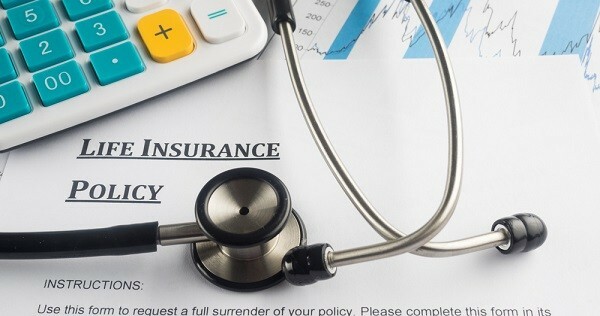 Individual policies purchased through the AAFP are portable, so you won’t have to worry about losing coverage if you lose your job or are starting a new position at a different practice. If any of these life-changing events occur, you may be required to update your beneficiaries or the amount of insurance coverage you’ll need. Review your policy periodically to make sure you are covered for anything life may throw at you. AAFP’s Quick Start Life Insurance offers coverage levels up to $250,000, so we’ve got your covered. Tell us: What other myths have you heard about life insurance? Will you consider purchasing a policy this year?